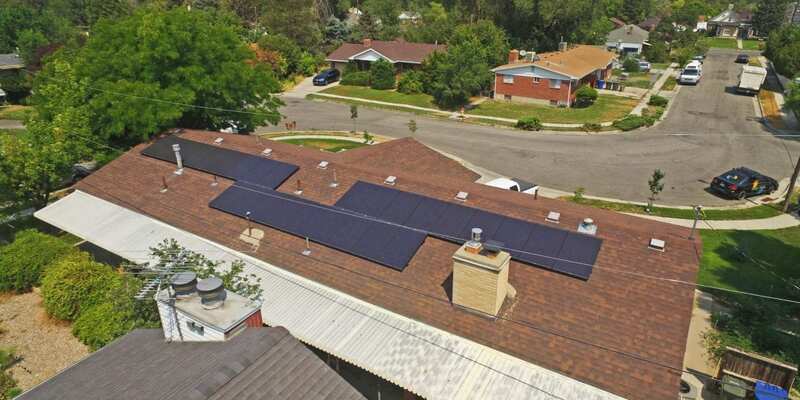 Installing a solar panel system is a smart way to increase your home value. Renewable energy is a huge selling point, and buyers are often willing to pay more for properties with photovoltaic arrays. What’s more, solar-powered homes typically sell up to twice as fast as comparable homes without PV installations. However, to ensure these results, you need to purchase – not lease — your home solar system. When you sign a solar lease, you commit to making payments for 15 to 20 years. That responsibility doesn’t go away if you decide to sell your home. So, this leaves you with two options — either find a buyer with excellent credit who’s willing to take over your lease agreement or buy out the remainder of your contract. Quite often, home buyers balk at the idea of assuming a lease. And, a contact buyout can be rather expensive – plus, after paying off the lease, you still won’t own the solar panels. In the end, leasing solar panels can actually be a hindrance – rather than an advantage – when it comes time to sell. Financing or paying cash for your PV installation allows you to realize the benefits of selling your home more quickly and at a higher price. In addition, when you purchase a photovoltaic array, you get to claim the lucrative federal solar tax credit – which is equal to 30 percent of your total system installation costs. State and local financial incentives are also yours to claim. If you opt to lease instead, you don’t get to pocket these savings – the leasing company does. On average, solar-powered homes sell for up to 17 percent more than similar properties without photovoltaic arrays. Want a more specific idea of how much of an increase in home value you can expect after installing a solar panel system? The PV Value® tool, developed through the U.S. Department of Energy SunShot Initiative, can tell you. Simply input some basic information about your property, photovoltaic array and utility costs, and you’ll be given an accurate assessment of the value of your PV installation. If you want to make your Intermountain West property more attractive to home buyers, installing a photovoltaic array is a smart plan. To ensure the investment pays off, work with a skilled PV contractor with extensive expertise – like the professional team at Intermountain Wind & Solar. A leading photovoltaic provider serving Utah, Wyoming, Nevada, Idaho and Oregon, Intermountain Wind & Solar offers free, no-obligation consultations and solar panel system estimates to homeowners and businesses. To schedule yours, contact us today. Deciding which solar energy installer to hire requires careful consideration. 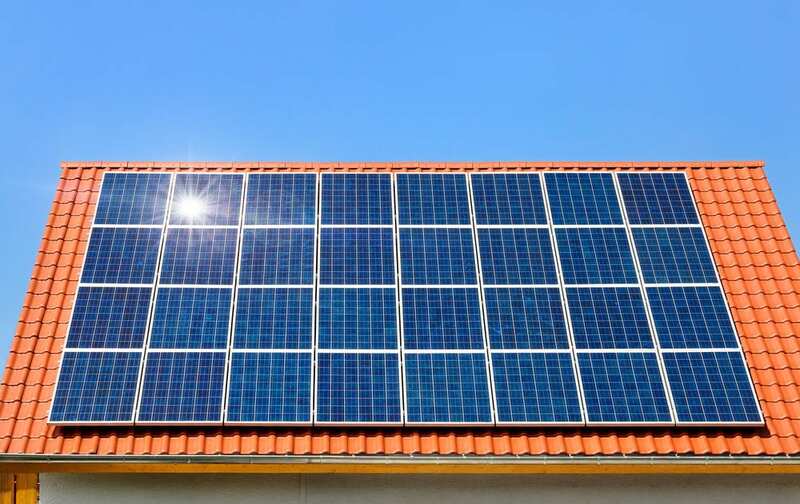 Choose wrong and, instead of a high-quality, trouble-free source of home power that quickly pays for itself, you may end up with a photovoltaic system that’s plagued with problems. So, how do you choose from the dozens of solar installers that provide service in your area? To find the right photovoltaic company to handle your installation – which, we hope, is Intermountain Wind & Solar — consider these factors. National providers tend to focus on the bottom line. Local solar installers, on the other hand, are committed to quality service and customer satisfaction. Plus, local PV companies have an in-depth understanding of the region’s financial incentives, weather conditions and installation regulations – so, by going local, you’re bound to save more and have a smoother, easier experience. Voluntary certification from NABCEP*, or the North American Board of Certified Energy Practitioners, is a crucial qualification for a photovoltaic installer. This impartial organization ensures that providers have the knowledge, training and skill to successfully complete solar energy installations. Hire a NABCEP-certified installer, and you’ll have a highly-capable professional handling your project. Experience makes a difference when it comes to designing and installing an optimized PV system. When evaluating photovoltaic providers, find out how long they have been in business. Choose a solar installer with a solid history of success and plenty of positive reviews, and you’ll likely have a better overall experience. Intermountain Wind & Solar, founded in 2008, is a locally-owned photovoltaic provider serving Utah, Wyoming, Nevada, Idaho and Oregon. Our professional solar energy installers have NABCEP certification, and our company never outsources – our in-house staff completes every part of every installation. With an A+ rating from the Better Business Bureau and a spot on the 2018 Top Solar Contractor List, Intermountain Wind & Solar has a reputation for providing high-quality photovoltaic components and an exceptional installation experience at a cost-effective price. Choose us, and you can count on a home PV system that optimizes your solar potential and maximizes your savings. To schedule a no-cost, no-obligation consultation with the leading solar energy installer in the Intermountain West, contact Intermountain Wind & Solar today. When you picture yourself going solar, thoughts of installing a rooftop solar array likely spring to mind. And, in most cases, that’s a cost-effective approach. However, due to shade or structural concerns, your rooftop may not be well-suited for solar panels. And, if you live in a planned community, subdivision or townhome development, your homeowners’ association might be against the idea of rooftop placement for a photovoltaic system. What then? Is installing a rooftop solar array impossible? Fortunately, you have other options. If the rooftop of your home isn’t right for a photovoltaic system, or if your HOA won’t allow the installation, you could install solar panels on the roof of another structure on your property. A solidly-constructed garage, carport, shed, barn or patio cover can support a solar array, and as long as the structure is in a sunny spot, it can produce enough power to meet your home energy needs. Don’t have a suitable structure? Build one. Building a shed, carport or other structure doesn’t always make sense. If you don’t want the added expense, you could install a ground-mounted photovoltaic system. Mounting your solar panels at ground level can be as cost-effective as installing a photovoltaic system on the rooftop. And, since the array can be placed at the perfect angle and orientation for harnessing the sunlight, you can count on optimal energy output. If installing a photovoltaic system on an alternate rooftop or at ground level aren’t options for your property – or if you’re a renter – consider investing in a portable system. Since mobile solar panels stand on their own and can be easily moved at any time, they can work for anyone. A range of options are available, and a large array with batteries for energy storage – and, perhaps, a generator to provide a backup source of power – can supply enough electricity for your household. Are you ready to determine whether a rooftop solar array will work for your location? For expert advice and assistance in exploring all of your photovoltaic system options, turn to the professional team at Intermountain Wind & Solar. A leader among Intermountain West photovoltaic providers for over a decade, Intermountain Wind & Solar offers expert-level residential and commercial PV installation at a cost-effective price. With us, going solar in Utah, Nevada, Idaho, Wyoming or Oregon is easy – we’ll handle every detail, providing you with an exceptional experience. For a free, no-pressure consultation to discuss rooftop solar array installation, contact Intermountain Wind & Solar today. So, you’ve decided to pull the trigger on solar panel installation. What does the process of adopting photovoltaic power involve? This is a common question – and a good one, we think. With any home improvement project, you need to know what you’re in for before you begin. And, making the switch to solar energy is no exception to the rule. For an understanding of what to expect, check out the following step-by-step guide to the solar panel installation process. First, contact a few reputable and highly-experienced local PV contractors and ask them to come out to your home or business for a professional estimate. Ask for the total gross cost for solar installation, and compare the price per watt (PPW) as you weigh the bids. Once you identify the PV contractor you want to work with, it’s time to sign the contract. But before you do, make sure it specifies the component brands and models to be installed as well as information on system performance, warranty terms and financing costs. After signing on the dotted line, the next step to solar installation is obtaining the building and electrical permits. Then, there’s filling out the forms for the available financial incentives. Fortunately, most PV contractors will handle these tasks for you. Once everything is a go, your PV contractor will order the solar panels, inverters and other photovoltaic power components your project requires. At this point, you’ll schedule a day to begin the system installation. On installation day, you’ll need to sign some paperwork. Other than that, you won’t have to lift a finger – but you can expect a bit of noise. Depending upon the size and complexity of your photovoltaic power system, the work may take a single day or several days to complete. The last step to solar installation is to connect the system to the local power grid. This requires signoff from the city’s building inspector and, in many cases from the utility company. Your PV contractor will schedule the necessary inspections and make sure you get the green light to begin generating your own electricity. Ready to Start the Solar Panel Installation Process? If you’re all set to adopt photovoltaic power and your home or business is in the Intermountain West region, consult with a long-time leading local professional PV contractor — Intermountain Wind & Solar. We can explain your options for grid-tied, off-grid and hybrid photovoltaic power, and our expert team can design an efficient, cost-effective solar panel system that provides you with a reliable source of electricity for decades to come. Intermountain Wind & Solar offers free consultations and estimates to homeowners and businesses in Utah, Idaho, Nevada, Oregon and Wyoming. To discuss your solar panel installation with our friendly and knowledgeable PV contractors, contact us today.